A common problem with this type of inhaler is inhaling and simultaneously activating the inhaler. Research shows that almost all patients struggle with this timing issue and this means that too many people do not get the proper treatment of their illness because only a good inhalation gets the medicine in the lungs. This problem is easily solved by adding a soft rubber cap on the standard inhaler. 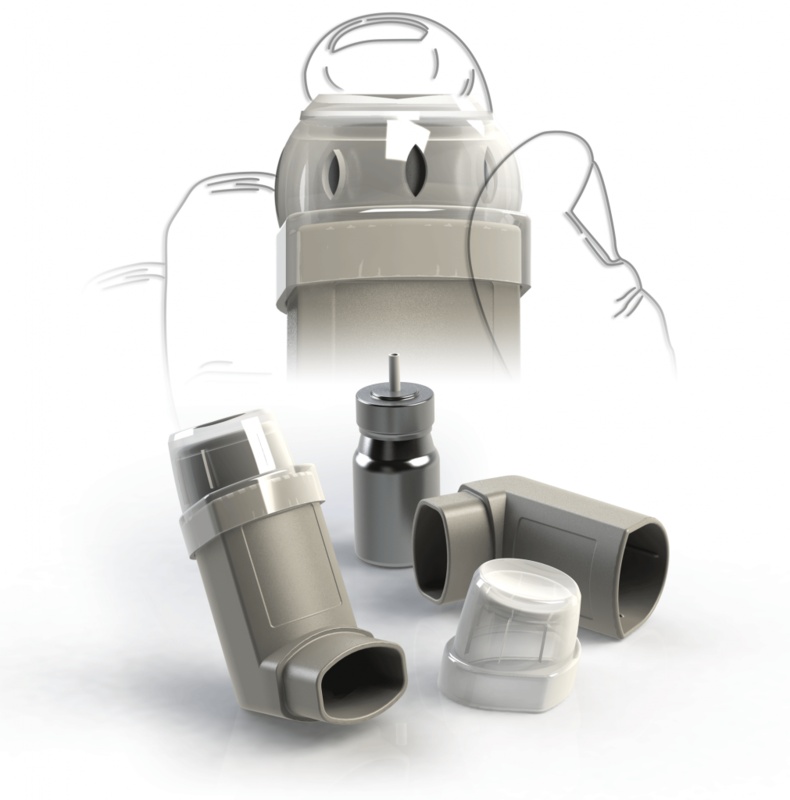 The cap ensures that air can only flow through the inhaler when it is activated. Now the patient begins to inhale and as soon as the inhaler is activated air starts to flows through the inhaler so the timing issue is solved and the air-medicine mix is inhaled in an optimal way.